In The Migraine Relief Plan, certified health and wellness coach Stephanie Weaver outlines a new, step-by-step lifestyle approach to reducing migraine frequency and severity. Using the latest research, her own migraine diagnosis, and extensive testing, Weaver has designed an accessible plan to help those living with migraine, headaches, or Meniere’s disease. Over the course of eight weeks, the plan gradually transitions readers into a healthier lifestyle, including key behaviors such as regular sleep, trigger-free eating, gentle exercise, and relaxation techniques. The book also collects resources—shopping lists, meal plans, symptom tracking charts, and kitchen-tested recipes for breakfast, lunch, snacks, and dinner—to provide readers with the tools they need to be successful. 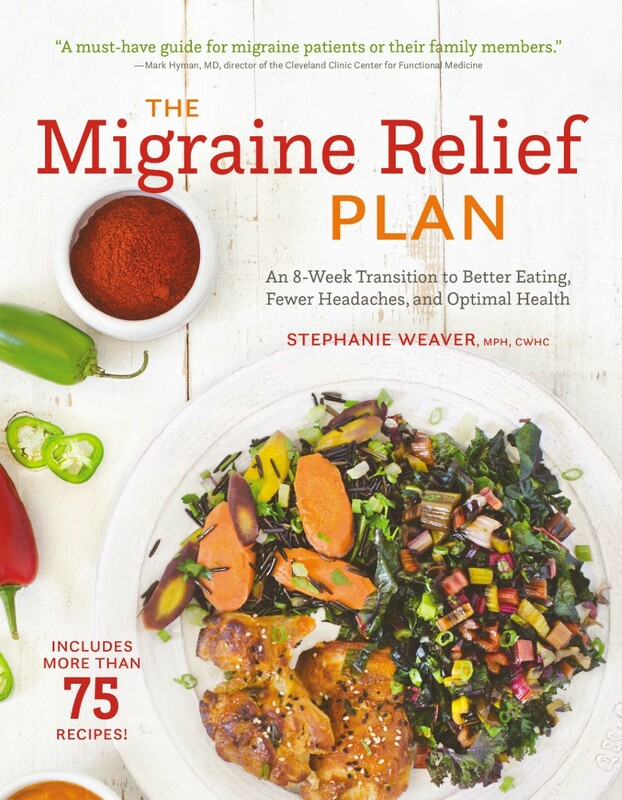 The Migraine Relief Plan encourages readers to eat within the guidelines while still helping them follow personal dietary choices, like vegan or Paleo, and navigate challenges, such as parties, work, and travel. A must-have resource for anyone who lives with head pain, this book will inspire you to rethink your attitude toward health and wellness. I hope you can find some helpful tips. Here is how my brain works: I looked at the low-sodium sheet from Dr. X and the low- tyramine sheet from Dr. Y, and I knew that I could never make sense of the information without visually combining them. At the time I wasn’t thinking that I was going to write a book. I was dizzy and nauseated and my head hurt constantly. I was simply trying to make sense of what both doctors had recommended. My first step was to create a Word document that I could work from, so I searched online for the tyramine sheet Dr. Y gave me, hoping I could cut and paste that sheet into a new document and then cross-reference all the low-sodium foods, ending up with one sheet. I found the tyramine sheet on a website, downloaded it, and started to work on it. But something was off. The sheet looked like mine, but the wording was a little different. Some foods were in different columns. The recommendations had changed. In fact, it was less strict than the one he had given me. Why? Further searching turned up the original version given to me by Dr. Y, which was originally posted by a headache organization in July 2010.17 It was updated between July and December of 2010 with slightly relaxed guidelines. I called the headache organization’s office to learn more: Why had the sheet changed? What were the changes based upon? I called three times and emailed more than five times over a period of weeks, but no one ever responded. It was a dead end. I found varying versions of the sheet everywhere on the web, from Northwestern University to Johns Hopkins Medical Center. Yet no one was accessible who could tell me where the information came from, who compiled it, or where you could find the data about foods containing tyramine, this mysterious compound that lurked in nearly all my favorite foods. Tyramine content wasn’t listed in the USDA database, so how did they figure out which foods contained it? Since following the sheet would effectively prohibit me from continuing to eat a solely plant-based diet—which at the time I still believed was my healthiest choice—I wanted to be certain of the information and why it was recommended. Following the handout to the letter would mean I could eat things that are cooked fresh, and leftovers the next day only.18 I would need to buy only a few days’ worth of fresh vegetables at a time, only what I could cook and eat fresh. I could freeze foods and reheat them later. This would completely change how I shopped, cooked, and stored food, as I normally shopped for at least an entire week’s worth of food at a time. My freezer was fairly empty; my refrigerator was packed with produce. And yes, in the past I would miss vegetables pushed to the back of the drawer, and they would spoil or be cooked far past their prime. Making this change was doable but would involve a ton more work—especially if the low-tyramine guidelines were combined with the low-sodium guidelines. The few canned beans that the low-tyramine sheet allowed, like pintos, garbanzos, and black beans, wouldn’t work for me unless I could find salt-free versions, so I would have to cook those beans from scratch. I realized that I was going to have to be flexible about what I was willing to eat as I learned this new diet. I picked up some salt-free canned tuna and salmon, got some low-sodium goat cheese, and asked my neighbors who kept chickens for a few eggs. I read a lot of labels. Trips to the grocery store took at least an hour. I frequently came home discouraged. I had to take three months off from writing my food blog, as I had no idea how to feed myself for the first few weeks, let alone develop recipes. At that moment I couldn’t envision what my food blog might become in the future: a low-sodium and migraine-friendly haven. After weeks of trying to get information about the low-tyramine sheet, I finally decided that I should talk to Dr. Y. He had given me the sheet; I hoped he would be able to explain why he gave me that particular sheet and not the newer, less restrictive one. The thought crossed my mind that he might not know the sheet was outdated. I really hoped that wasn’t true, as I knew that meant he wouldn’t have an answer for me. While I knew he was the best doctor for me, and completely trusted his clinical skills, he had already told me that he didn’t have time to research nutrition. After talking with his physician’s assistant, I learned that Dr. Y wasn’t aware the sheet had been updated. I know from consulting with doctors professionally in the past that they are all crazy pressed for time; the health care system is so broken that they don’t have time for the patient care they all want to do. However, just because he couldn’t research the topic more thoroughly didn’t mean I couldn’t. During one appointment, Dr. Y deputized me to learn as much as I could and report back to him what I was learning. He was (and continues to be) completely supportive of my work. It was at that point that something in me shifted and I stepped into an advocacy role, both for myself and for others. Thank you, Stephanie Weaver and RachelsRandomResources. 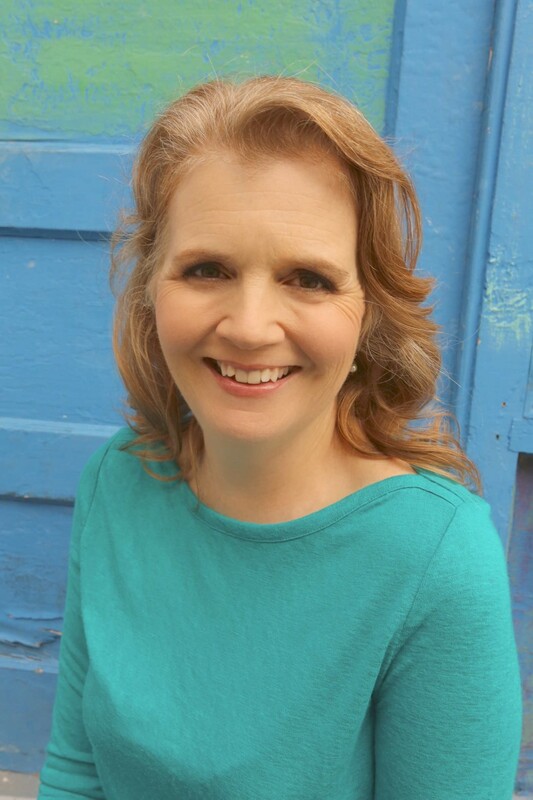 Stephanie Weaver, MPH, CWHC, is an author, blogger, and certified wellness and health coach. Her recipes have been featured in Cosmopolitan, Bon Appetit, Cooking Light, Parade, and more. She lives in San Diego, CA.